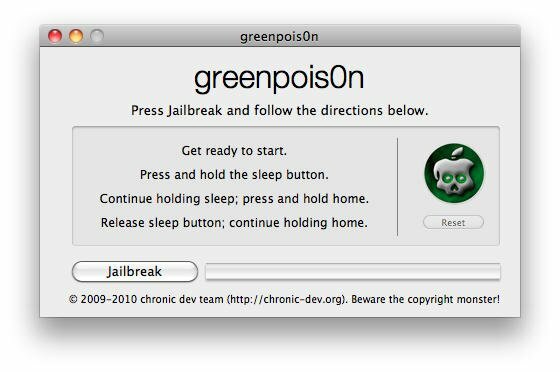 We’ve waited so long for this, and at long last, we can finally bring you details on the Greenp0ison jailbreak for Windows users. Version RC5 has now been made available to download, giving users of iOS 4.2.1 the ability to perform an untethered jailbreak on their devices and it’s all thanks to the Chronic Dev Team (twitter). The Mac version was released first and, like that, the Windows version will provide support for any iOS device on iOS 4.2.1. If you have already used the Mac version, the Windows version is identical in terms of how to install it, and full details are given below. If you do run into trouble using Loader.app to install Cydia, a way around it is to use Redsn0w to jailbreak your device and then you can install Cydia. If you have any other trouble using Greenp0ison v RC5, follow the link for details on how to fix. If you have any problems with this jailbreak process, please let us know in the comments box below; we’ll do our very best to solve them for you. 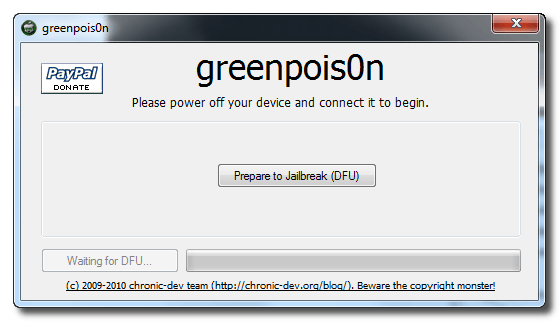 If you can’t install Greenp0ison for any reason, do try the Redsn0w jailbreak and don’t forget to follow us on Facebook for more jailbreak news and tips.